A PRO-LUX STUDIO PRODUCTION GETS INTERNATIONAL FILM AWARD NOMINATION. 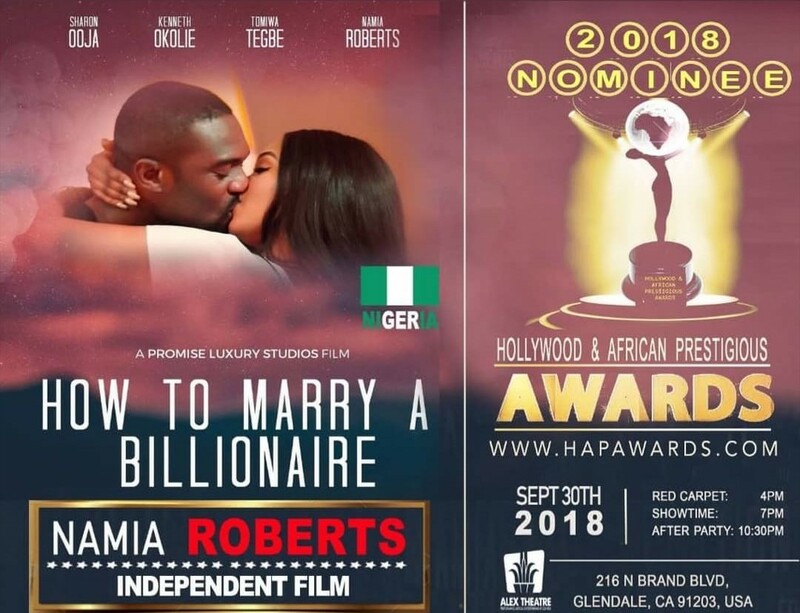 The film by 19 year old Actress and Producer Namia Roberts, titled, How To Marry a Billionaire” has received a nomination from the Hollywood & African Prestigious Award, holding in USA on the 30th of September at 216 N Brand BLVD, Glendale. The award nomination of Namia Roberts’ latest production from her Pro-lux studios, is a recognition of her outstanding innovations in film making and production. This was made known to newsmen during a media chat with Namia Roberts. The movie titled “How to Marry a Billionaire”, is a proud production of Promise Luxury Studio, a film making outfit, directed by Actress Namia Roberts, and based in US. The movie featured great Africa international stars including the producer who played a pragmatic role as the major character in the movie. However, the proudly Nigeria film feature Sharon Ooja, Kenneth Okolie, Tomiwa Tegbe, and popular actress and producer, Namia Roberts. The 2018 nomination of a Pro-Lux studio work for an international award of such magnitude, is indeed a remarkable achievement for the film making industry in Nigeria and Africa. In a reaction to the prestigious nomination, the director of Promise Luxury studio, Actress Namia Roberts has congratulated the entire working team of her film making outfit, stating that the honour was a result of collective creativity. 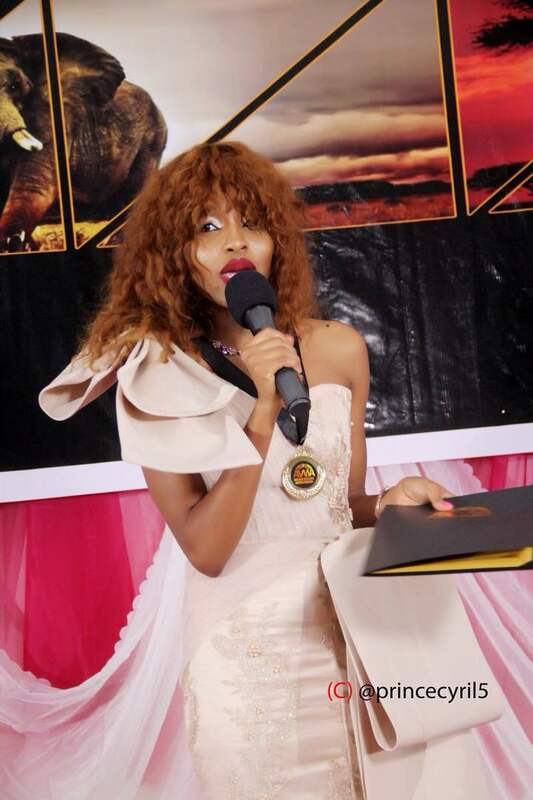 Namia remains one of the youngest award winning actress and producer in Nigeria and Africa. Her worldwide recognition is overwhelming, as she was recently honoured at the African Virtuous Women Awards and the NANS award of Excellence.